It was recently given a ringing endorsement by one of the most beautiful women in the world. So it comes as no surprise that coconut oil – is the latest must-have beauty product. Even cosmetic companies like Clinique are promoting its benefits. And for good reason: coconut oil is antibacterial and anti-fungal, it’s an excellent moisturizer, it can penetrate hair better than other oils and, well, it smells like cookies. 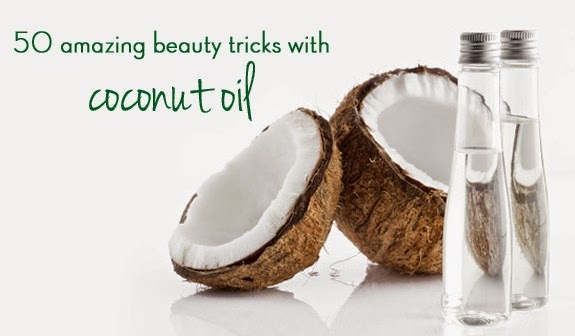 However, you don’t need to consume coconut oil to reap the beauty benefits. 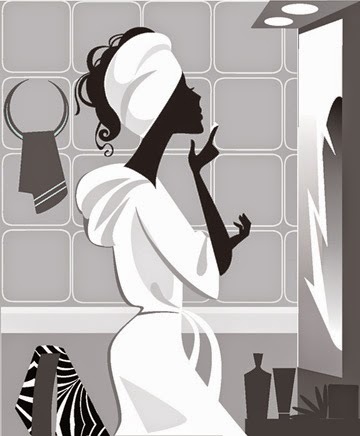 Here are 50 topical skincare, bodycare and haircare uses for it in your very own home. All you need is virgin coconut oil (preferably organic) and you are all set to glow! 3. Hair strengthening mask: Coconut oil has a rich texture that does not require the addition of harsh chemicals to boost its beauty potential. Simply warm 3 tablespoons of coconut oil in a saucepan over low heat; set aside and let it cool. Beat a raw egg and the lukewarm coconut oil together, then apply the mixture to your hair. Put a plastic bag or plastic wrap around your hair for one hour, then wash hair with shampoo and rinse thoroughly. This is excellent for treating split ends and prevent hair from breaking. 4. Frizzy or lacklustre hair: Take a tiny (smaller than pea-sized) drop of coconut oil and rub it between your palms. If you have curly hair, run your fingers through it and scrunch. If you have straight hair, just smooth over the top of your strands gently. 5. Dandruff: Because of its effective antibacterial and antifungal properties, coconut oil is excellent for banishing scalp problems. It also soaks into the scalp, moisturising dry skin and relieving symptoms of dandruff. Simply massage it into your scalp for 5 minutes. Let it sit for as long as you can and then shampoo thoroughly. 10. Body scrub: This is my go-to recipe for leg or back-baring days. To make this scrub, you will need 50g coconut oil, 10ml macadamia oil, 10 drops orange essential oil, 10 drops lemon essential oil and 60g unrefined brown sugar. Put the coconut oil in a bowl and add the macadamia oil; stir until soft and fluffy. Add essential oils and stir. Add brown sugar gradually; stir. Pour into an airtight jar and store in the fridge. To use, massage into damp skin while in the shower, paying special attention to knees and elbows. Rinse off the scrub and you will be left with a light layer of coconut oil, which shall keep skin soft and supple. 11. Honey Lemon Sugar Scrub: Mix together 1/2 cup of brown sugar and 1/2 cup of salt in a bowl. Add 1 tablespoon lemon juice, 1 tablespoon coconut oil, 1 tablespoon honey; mix well. Use 1-2 times a week for amazingly smooth skin! 18. Cellulite Cream: Mix together 1 cup of coconut oil, 1 cup of jojoba oil, 20 drops of cypress essential oil, 20 drops of juniper essential oil and 10 drops of lavender essential oil. Massage into the affected areas of the body and leave overnight. 20. Muscle Soother: Take 4 teaspoons Shea butter, 3 tablespoons coconut oil, 2 tablespoons jojoba oil, 6 drops peppermint essential oil, 6 drops eucalyptus essential oil, 4 drops of lavender essential oil and 1 teaspoon beeswax pellets. Melt the Shea butter, coconut oil and jojoba oil, then add the essential oils and pour into an airtight container. 27. Fungal infections: Coconut oil is rich in caprylic acid, which is a potent antifungal agent that’s superb for treating athlete’s foot, Candida and other fungal conditions. Rub the oil into your feet, concentrating on the affected areas (you can add some tea tree oil for extra benefit). Put on socks so you don’t slide around the room. Repeat 2-3 a day until the problem is gone. 31. 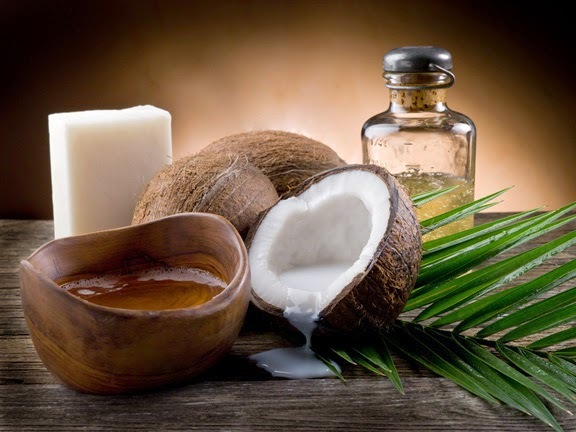 Coconut oil contains medium chain triglycerides (MCTs), a type of fatty acid esters that absorb quickly and efficiently and help transport nutrients to the cells. Massage it into nails and cuticles to help strengthen them or rub into fingertips to soothe and prevent hangnails. 36. Lip balm: Simply slather plain coconut oil on your lips for the ultimate in hydration. Again, I use a small mini-mints container and fill it with coconut oil to carry around. It’s solid at room temperature and melts with the body heat while applying.